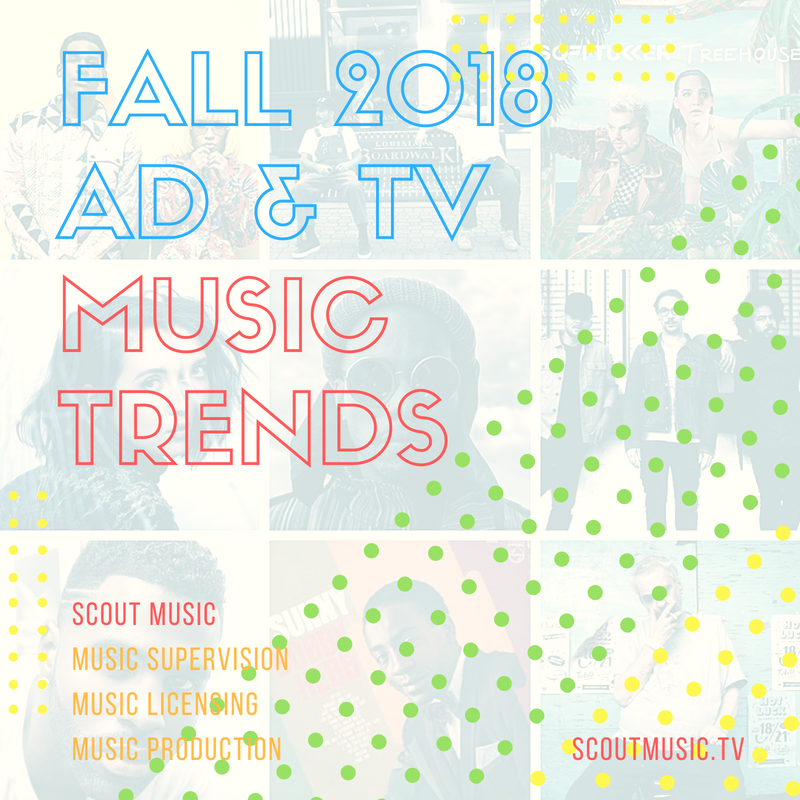 Here is our latest rundown of what our music licensing clients are feeling as we step into Fall 2018. The song that won’t die. Cool, unique vibe. Perfectly obscure lyrics. A real triple threat– Sia, Diplo and Labrinth team up on this new fave. Apple’s latest curation is a lo-fi cult fave. Energetic, universal with great horn hook and vocal samples. Rediscovered moody R’n’B pop gem. Nobody does upbeat universal pop like Derulo. This time for Coke / World Cup. 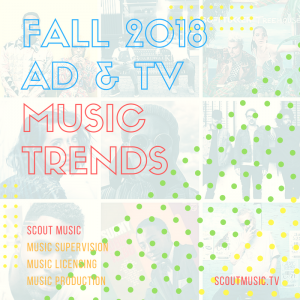 Scout Music-– music licensing, music supervision and music production for ads, tv and film.